SISTER CLUB: Pirelli Become Number Four! Durham Women are delighted that Carlisle-based Pirelli FC have joined our FA WSL Sister Club Programme! The FA-backed programme was launched in July and has attracted great interest from the North East and further afield as the 2017/18 season rapidly approaches. With Durham United, Washington NSG Lionesses and Shincliffe Juniors already having signed up for the programme, Pirelli FC have become the fourth side to partner up with the Wildcats and will receive a host of benefits! Pirelli FC are based in Carlisle and their home pitches are located in the Pirelli factory grounds. They have a long footballing history within Carlisle with our early senior sides founding members of the Carlisle & District league back in the 1970’s. They have six teams in their youth section, from U9's to U12's mixed and also two girls teams at U8's & U10's - all play in the Longhorn Youth League based in Carlisle. The youth section of the club was established back in 1992 and during the club's proud history, they have seen countless players progress through the youth section and into our senior sides. As well as their successful youth section, Pirelli FC are now in the process of becoming a more inclusive club after having successfully fielded the county’s first affiliated disability side. They also have a flourishing girls section and, after starting in 2016, they now have two teams. You can find out more about Pirelli FC on their Facebook page, Twitter account or on their official website. 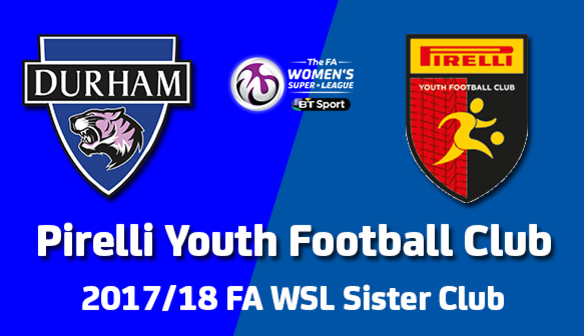 Pirelli will enjoy their Sister Club Day at the FA WSL fixture against Aston Villa Ladies on 10th December, while all their junior players will be able to benefit from free admission to our fixtures, tournaments across the season, player visits and open training sessions as well as much more! Speaking after joining the programme, Martin Taylor of Pirelli said: "As a club, we are new to the girls game with this season being our first to play in the girls' youth league in Cumbria. "At the same time as offering football sessions, we are trying to provide a complete experience for the girls and being part of the Sister Club partnership is a massive part of that. "For them to be able to get close to WSL players and also see meet other Sister Clubs is a great benefit. 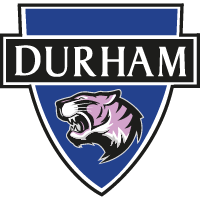 We look forward to cheering on Durham in the WSL2 in the upcoming season!" Sister Club Programme Officer, Mark Donnelly, added: "It's fantastic that we've been able to welcome Pirelli FC on to our Sister Club Programme. "As a Carlisle lad myself, I'm delighted to be working with a team from the North West and offering them the fantastic benefits associated with the programme. "There's no FA WSL team in Cumbria, but that shouldn't mean they can't benefit from the experience of watching our games so when Martin expressed Pirelli's interest we were really keen to get them involved. "We look forward to working with them to help develop their girls' section over the next season." Could your club benefit from our Sister Club Programme? Find out more about the free programme HERE.